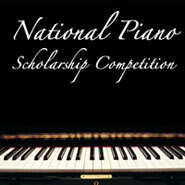 The University of Tennessee National Piano Scholarship Competition is open to all piano students who are planning to enter college as a piano major in performance or piano pedagogy. All awards are made to incoming UT students only. A preliminary live audition or CD recording is necessary for participation in the National Piano Scholarship Competition. Special Prize: $100 for the best performance of a 20th century composition.